Welcome to my BIGtoken review! There are many companies where if you sign up for them they require access to your data. Well in this case I will be checking out a new app that is on a mission to give people more control on there own data. They claim to reward you to complete actions like surveys and give access to certain data. This on the face of it sounds great but are they even legit and do they live off to there claims. Now you probably clicked through to this post because you say $80 in the title and you would be right to do that. This is because Product Tube claim to pay up to $80 a survey. That is huge! Now that is a big amount and coming from someone who has taken hundreds of surveys up to now that getting an amount like that is uncommon to say the least. Anyway lets talk about Product Tube today, what they offer and how much money you can make. I will also answer the question of whether or not Product Tube is a scam or not. In this day and age you can get paid to do many things and one of those things is simply passing your opinions on. Yes you heard me right, people are interested in hearing your thoughts and what your thoughts are on various different topics. Today I will be looking at a fairly brand new app called AttaPoll that offers that opportunity. 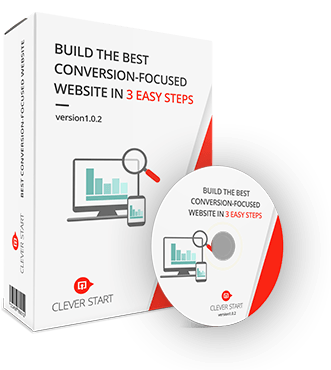 In this AttaPoll review I will taking you through everything you need to know about them, how you make money and whether they are worth your time and effort. App that pays you to take surveys on your phone in return for cash, charity earnings and bitcoin. AttaPoll is an app you can download on your phones that will pay you to complete surveys. In return for doing surveys you will get paid through either cash or through donating your earnings to charity, which is a great touch. If you are wondering how an app like AttaPoll works or even has the money to spend on your opinions that is because they work with many different businesses. These companies are actively looking to find out what consumers think about various products and services to help develop products. For me there are great positives to surveys as not only can your average joe get paid for doing surveys but you can help and influence today's society. Admittedly you will find many different survey sites and apps out there but this app offers some great features which have taken my attention, all of which I will cover here. You will then need to create an account and this step requires only a few details. You will need to enter your name, connect your email (google account), put in your year of birth and you are done. The added bonus of signing up and what I found is I received £0.10 for free. There are two ways to make money with AttaPoll. You have the main way which is completing surveys and then you have the referral program that I will get onto in a second. Surveys are easy to work and for every time a study comes up that is a good fit for you, you will be able to complete it from the dashboard. These surveys generally pay well and I have seen people get paid up to £25 for completing just one which is great. However it does vary how much you get from survey to survey. Surveys are also given out on a daily basis so make sure to check your notifications so you can complete a survey as soon as one is released. The second way and a just as equally good way to make money is referring other people to the app. By doing this you can get paid £0.50 for every invite that downloads and creates an account. You will have a referral link to give out to others, also you can track your referrals and the amount of credits they earn. Once you have hit £3 or $5 in the US, you can get paid cash through PayPal. You can donate money from 50 points (£0.50) and you can get Bitcoin once you have 10000 credits (£10). As with every make money app and website, there are going to be positives and negatives. Here I will talk about some aspects that came to my attention. 1. Making Money On The Go! If there is one aspect that stands out to me is the fact you can make money on the go. As long as you have internet you will get notifications for new surveys that you can do on the spot. I mean you are simply giving opinions so this is for any of you who are looking to get your voices heard, this is something you can do. The surveys are easy to complete and your balance is updated upon completion. If surveys aren't for you there is still potential in the referral program. I have tired many survey sites that have not great programs in place where you get % of earnings but these are often not worth your time. However in this case you are guaranteed a payout per person you refer. Just inviting 6 people is enough to cash out your earnings with 6 x £0.50 equalling the minimum withdrawal. 1. Won't Replace A Full-Time Job? These apps are great however there can never be considered as a substitute to a standard job. The system is great but you won't be making thousands a month. If you are looking to make a passive income online that is more than just extra cash then check out another way to make money I highly recommend here. If you are wondering whether of not AttaPoll is legit then I can confirm they are. They have a history of paying out and overall have great reviews and feedback from there users, something that I look for in every site/app I review. If your looking to make money from your phone I highly recommend you check out AttaPoll. Click here to be taken to the app store where you can download them now. What do you think to AttaPoll? Have any questions or opinions you would like to throw my way? Welcome to my MoneyRawr Review where I will be taking you through everything you would need to know about them. The concept of the app does look really promising with the idea that you can make money through downloading apps on your phone and get paid when you play them. It offers an opportunity for you to make money by doing something that is fun and what most people do for free in there spare time. It does sound great however the main question here is obviously is MoneyRawr a scam or an app that is out to trick you. Bare with me as this review will answer any questions you may have on them. MoneyRawr is an app that rewards you for playing and trying out different featured games/apps from the PlayStore. MoneyRawr is an android app made and released by Applike Company. They are a fairly new app on the Play Store with over 100,000+ installs already. You may be familiar with the app already without even trying it or from looking at the below screenshot. This is because they are operated by the same company that created almost identical apps in Applike and Fitplay. The concept is easy to grasp like the other two apps in that you are paid for the amount of time you keep the downloaded games and apps open. I will explain just how this works in a minute. You can get access to the app from an android device by going on the Google PlayStore and typing in MoneyRawr. They aren't well known at the moment when you compare them to Applike who have over 10 million app installs in the past 2 years since there launch. Anyway once you have installed the app you will be told to create an account. This can be done using a Facebook or Google account and takes a few minutes to do. Quite an important thing to point out is that if your looking to withdraw via the PayPal option then you will need to sign up using that email address, as they payout to the email address on your account. So make sure your PayPal email and Google/Facebook are the same. Once you have set up your account the next thing is to download an app and start playing it. When you reach the dashboard you will find numerous apps, the ones you get do depend on your device and location. Select one of them and press the install button which will then take you to the app store to install it to your phone. From then on wards every time you open that app you will be credited points, these points are credited in 2/3 minute intervals. So while your using it you will get a notification pop up saying you have points, if you play it for another few minutes you will get rewarded and so on. Your probably wondering how many points do you get and the answer to this depend on the stars system. Each game has a rating out of 4 stars, so the ones with the most will credit more then the ones with the least. On average and from my experience using the app you can expect to receive 100-300 points per 2/3 minutes. I have to admit it does sound quite complicated but as you use the app more you get used to it and becomes easy to understand. Like I briefly wen't over earlier there is different rewards you can redeem on the app which consist of PayPal, Amazon, Google Play Gift Cards and others. PayPal payouts starts at 50p and gift cards start at $/£5, they also pay within 72 hours. The main positive I found with MoneyRawr was just how simple the concept is to start making money. Everyone these days have smartphones and are using them on a daily basis so these kind of apps give you the opportunities to make money using them which is quite cool. Obviously you won't be making lots of money or even a sufficient amount to live on but still the idea of making money through playing games sounds great. As with any company and app in this case you will find negative reviews, on the app store you will find every app to have at least some bad reviews. The thing with MoneyRawr is the history with the makers of the app isn't great in fact in the past year they have gone down hill, that is with both Fitplay and Applike. The earning potential with these apps is always going to be low as the effort required is quite low. Downloading an app and playing it will only pay out a few cents at a time, it is easy to build up enough points to cash out though and how easy it is to make money makes up for it. It's quite hard to tell whether or not MoneyRawr is a scam at this stage as the app is quite fresh however from looking online there does seem to be many payment proofs which is always a good sign. The app doesn't require to much time to make money so it could be worth trying it out. At this time I would label them as legit but if anything changes or it goes downhill like applike I will come back to this review and update it. What do you think to MoneyRawr? Have any questions or opinions you would like to throw my way? 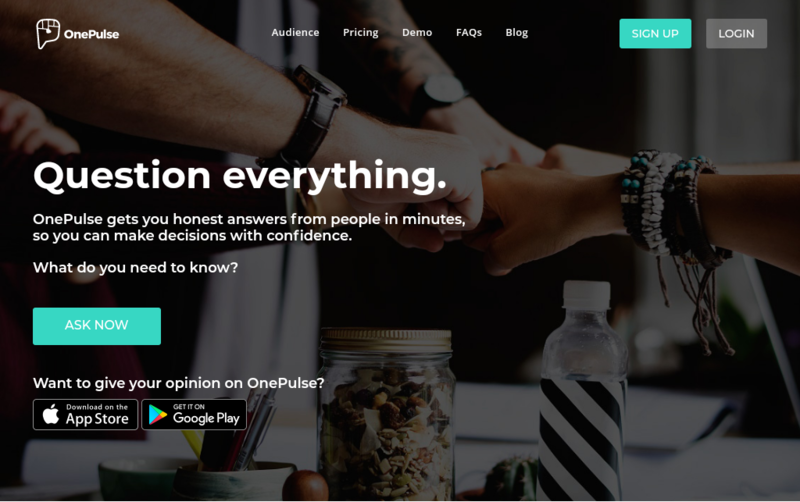 Onepulse App Review – Is Onepulse Legit Or A Scam? When ever I get some spare time or either on public transport I'll end up going through a few of my money making apps doing a few tasks here and there. If you haven't noticed I am a big fan of survey sites and apps that help you make extra cash. In today's post ill be taking a look at yet another money making app that has come my way called OnePulse. I'm sure you have come across this post wanting to know just what are they about. Well in this OnePulse app review I'll be taking you through all you need to know about them as well as just how you can go about making money. OnePulse is effectively an app that pays you to complete surveys from your phone. What seems to be a familiar theme with these apps that give them the upper hand over most sites is that the surveys are short and easy to complete. One frustrating factor that puts many people of completing surveys is the fact there either time consuming or you find yourslef being screened out way too many times. Onepulse also have a Youtube channel where you can learn more about the company and they work. The following video I have attached below will give you a brief introduction of what Onepulse consists of and as to offer. If you don't already have OnePulse you will need to go and download it and install it to your phone. Luckily doing this is straightforward as the app is available and can be found of both the IOS and Android app store. Once installed on your phone you will then want to create an account which takes a few minutes in total to do. To get started they will give you a survey that consists of 65 questions. Profile surveys are generally used by company's to help them understand there consumers and members better. it may seem like a lot but if you plan on using the app to make money it will work out good in the long run as you get more opportunities and surveys sent to you. How Can I Start Earning Money? The surveys in this app are known as 'Pulses' and for every one you complete you will receive a certain amount of points. There are Onepulse paid pulses and also free ones that you can complete but not receive any rewards for. Now onto how much they pay for the paid pulses and you can typically expect to receive within the region of 20p a survey. Your probably saying, well that is not a lot but when you consider that these take a minute tops to complete and that many sites I've reviewed pay that amount for long 30 minutes odd surveys you can't exactly go wrong. If you want to know how to get more pulses then like I mentioned earlier make sure to complete all of the profile surveys/questions as that will increase your chances. Whats strange is how so many survey sites I've recommended (100's) have long payout systems which means that you can end up waiting up to a month in most cases to receive your rewards. I tend to stay away from those sites as to be honest I'm quite impatient so being paid instantly is what I'm all about. They do have a minimum threshold of £5 and with the surveys being somewhat lowing paying it will take you at least 25/30 which is the only down side but then again it is easy money to be made. So Is Onepulse Worth It? Onepulse is legit and does pay out well considering the small amount of time you need to put into it. Despite the fact the surveys pay low they do still payout better then a lot of surveys ive tried out elsewhere. It offers a great way to make some extra money but I it goes without saying that making a fortune or even replacing a full time job isn't the case here. With that said I reckon making an extra £10 to £20 a month is a good little income for what is a few minutes out of your day. If your looking for additional sites and apps that will boost your income even further then I would recommend these high paying sites that pay out well in 2018. Giftloop App Review – Make Easy Money While Charging Your Phone? Streetbees App Review – Is Streetbees Legit Or A Scam? VoxPoxMe Surveys App Review – Are They Legit Or A Scam? Rewards Buck Review – Make Money Doing Simple Tasks On Your Phone? Today I'll be bringing your way a Rewards Buck Review. I recently stumbled across this site while browsing ways to make money on my phone and this one seems to be another site that offer opportunities for you to make money online. Whats interesting about this one is the fact it is a rewards site but is fully compatible on mobile and even laid out so that you can make money on your phone as well. I have tried out many making money apps/sites and a good amount of them do offer solid way's to make a few extra dollars. 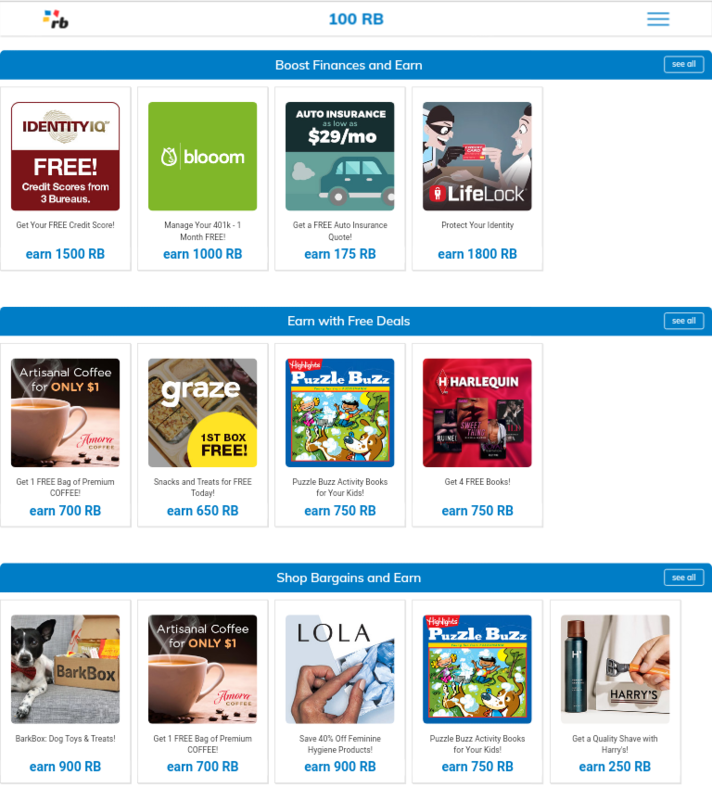 For instance PrizeRebel and Swagbucks are two good examples of ones I have tried. 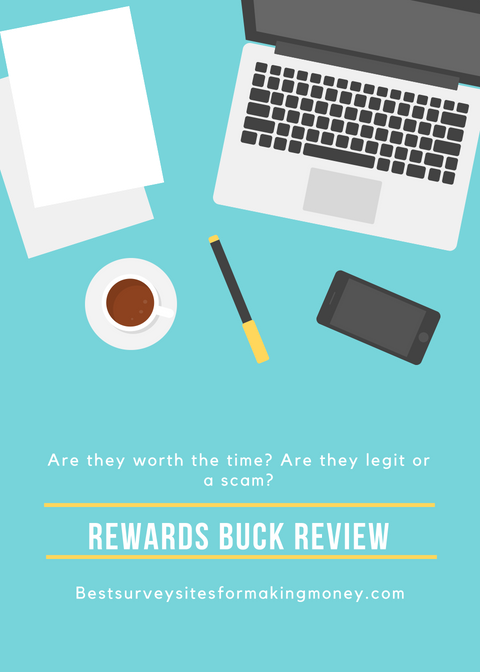 Anyway in this Rewards Buck Review I'll be talking you through how exactly the app works, whether they are legit or a scam and to sum it up whether or not they are worth your time and effort. If you came to this review looking for a solution to making a consistent income each month I have to say straight off that the earning potential is limited with Reward Bucks. Instead I would recommend this rewards site that while offer the same kind of opportunities, offer more of them and pay out much better. Feel free to check them out if your interested by clicking the button below! Reward Bucks is a fairly new site that offers opportunities for you to make money by doing things such as completing surveys, doing offers and downloading apps. How it works is quite simple and easy to get your head around as for every task you complete you will receive points in the app currency called 'Reward Bucks' (RB) which can then be used towards redeeming rewards such as getting gift cards. They do however have minimum thresholds and certain rewards available so I will explain how this works later. First you will need to sign up at the website in order to start earning, you can sign up using your email address or by using your Facebook account. The registration is easy to set up and took me 1 minute to complete. Once you have signed up you will be taken to a dashboard containing different types of opportunities to make money. The site does also appear to be a mobile version and you will find different types of offers as you scroll down the page. If you click on the 3 lines in the top right corner you can go to pages such as your account and the reward selection page. From what I saw after registering most of the offers were to do with purchasing, so in order to get points I would need to purchase a special offer or do a trial. They do claim you can get paid to take surveys and download apps however I found none in my dashboard. The opportunities available to you are quite limited to you which could be an issue as their doesn't seem to be a great potential for you to make money. As you can see from the screenshot below of what I had in my account, there was only a handful of tasks I could do to earn points. I probably won't be using this site mainly for the lack of ways to earn but also because for me anyway from what I can complete in order to make money I would need to put in money or put in my card details for an offer in order to get money back. If you are able to reach the minimum threshold of 1000 RB ($10) you will have the choice of different US gift cards. Unfortunately they don't offer any cash payouts such as PayPal or Cheque which is a shame as you can't receive straight up money for your efforts. These consist of Visa, BestBuy, Walmart, Amazon, Target, IHop and Gamestop. These rewards cost and range from $10 - $100. You can expect to receive these within 7 days of request. With the opportunities I spoke about earlier you will find that what is avialable to you as a member is not great. In fact unless you are going to invest your time in paid offers that do pay well, it will be hard to reach that minimum threshold even with the $1 bonus they give you at the start. As you can probably tell already with the opportunities on offer you will struggle to make anything to be honest. Something that I am a big fan of are referral systems where you can get paid to simple invite others, however this isn't in function here, so earning is limited. One of the main reasons why it can be so good to have one at your disposal. Mainly because if you do ever run out of tasks to complete, you can always invite people and get paid. It also proves to be a great way to make a passive income since once you have done the hard work the income continues to come in. I know many of you when you think of earning cash online are thinking about actual money but with Reward Bucks there is no option to receive your earnings by cash. Sure, gift cards are good in their own right as you can use them to get free stuff at many retailers however it won't go towards paying the bills. If you are looking for rewards sites that will make you money but also pay you cash instead then top 5 rated survey sites that payout via PayPal. 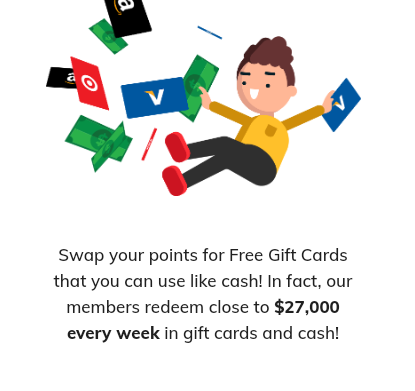 Reward Bucks is legit and does offer a way for you to make money doing simple tasks, however I wouldn't recommend them as the amount of opportunities offered are very limited so earning enough for a few gift cards here could be hard to do. When there are reward sites out there already that offer the same opportunities and more it is easy for me to recommend them ones over this one as your earning potential is better. If you want to find some reward sites to make money with then I recommend you check out this top rated reward site list I have put together. What do you think to Reward Bucks? Have any questions or opinions you would like to throw my way? Receipt Hog Review – Is Receipt Hog Legit Or A Scam? Keeping hold of receipts can be quite important especially if you change your mind on items or just simply have a problem with your purchase. Interestingly though I have found other uses for your receipts that can help you gain some kind of cashback and help you save money. In this Receipt Hog Review I'll be looking at an app that claims to help you make money by using your recipts that you get from shopping. If your looking to find out more about them, whether they are legit or a scam and finally a genuine opportunity to make money then your in the right place. Not interested in cashback apps/sites and would rather check out an opportunity that can help you make a part time income online then check out my #1 recommendation below. You can get paid to do things such as surveys, offers, referring friends, watching videos and much more. It's quite simple really! 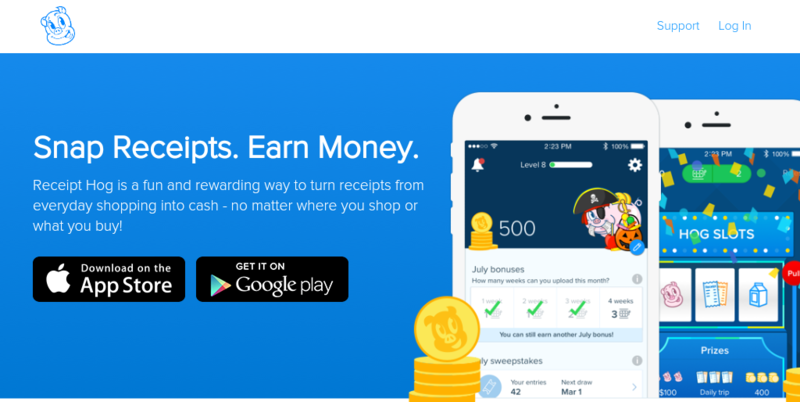 Receipt Hog is an app that gives you the opportunity to earn cashback from your shopping. By simply uploading pictures of your receipts on the app you will get coins that can be later swapped for money. They are part of market research company that is seeking to find out how shoppers shop, so when you shop they get to learn more about the consumers. Your probably wondering where all the money comes from and how they can afford to pay you for receipts. This is because they get paid by other companies so that they can reward you. Currently at the moment because of how popular the app is you now have to request to join. Once you have downloaded the app you will need to send of a request to Receipt Hog which they will then either confirm of deny. You can sign up using either just an email or your Facebook account. They are also exclusive to only america as well. In order to start making money its quite easy and taking you have been accepted the first thing you will need to do is go shopping. Receipt Hog say you can shop anywhere however there are some purchases that they class as non reward able meaning you won't get paid for it. However if your to shop at places like Walmart, eat at McDonalds they will count and you will get points once you have sent of a copy of your reciept. It is slightly detailed on what counts and what doesn't so I'll go over now what categorys are supported. The other type of reciepts they do accept are petrol stations and food outlets however these will only get you into sweepstakes. Do they do also mention how they do disapprove receipts because they weren't able to get all the data that was required from the purchase. For e.g things like if the photo is blurry, the store name doesn't appear or if you have already uploaded that receipt and they have collected it you will probably be dissaproved. You will find most of the guidelines on the site and if follow them they mention there should be no problems. The other opportunities available consist of short surveys and earning rewards from their hog wheel, these are gained from submitting receipts for spin only shops. You can request a payment once you have reached 1000 coins which is the equivalent to $10. You have the choice between either PayPal or Amazon. In order to get a payment you must complete a short survey and then validate both your device and email address. Receipt Hog is legit and does pay out. To be honest I'm not normally fond of these kind of apps however in this case I have given them a good worth it rating as I am pleasantly surprised by how much Receipt Hog actually as to offer. I have tried and reviewed apps in the past such as Ibotta that are still good but don't cover all types of reciepts which is why this one stands out as you can shop almost anywhere and get paid for it. The bonus that you can also recieve cash in the form of PayPal is also great. I do recommend Receipt Hog as they do offer a genuine opportunity to make money so feel free to check them out. If you are looking to make money without spending in the first place then I would recommend you check out this top rated reward sites of 2018 list I made. I have been using many of those sites to earn an extra $500+ a month so feel free to check them out. What do you think to Reciept Hog? Have you used them before and had any success? Grabpoints App Review – Is Grabpoints Worth It? In this post I'll be taking you through everything you need to know about them and how you can go about making money with the app. If you are looking to find out whether is Grabpoints worth it or even legit for that matter than your in the right place. This app is okay and will help you make a few dollars however If your looking to make more money and maximise your earning potential I would recommend you join this reward site I highly regard below. Grabpoints is a GPT website that also as a mobile version that offers opportunities to help you make extra cash completing different task's. They were formerly known as Zoombucks until being taking over by Grabpoints recently. You can get paid to complete surveys, watch videos, complete offers and also refer other friends to the app. I have used and tried out Grabpoints in the past but actually stopped because I realised that they weren't a great use of my time. Not to say that these apps aren't great as they are good in their own right, however with Grabpoints specifically as some of the apps below I just found it too hard work to earn points. You can sign up directly from the website or by using their app. There are not many requirements needed to make an account, the only thing you need to know is that you have to be 13 years or over. You can access the website from any browser or you can download the Grabpoints app from either the Google Play Store or the IOS store. You can make an account using either your email address or by using your Facebook account. It will take you a few minutes to do and you will also be required to confirm your account by clicking on the link sent to your email. There are different opportunities to make money using Grabpoints. You can receive anywhere from 1-10000 points, generally most will pay between 500 and 1000 points. If you are wondering how much each point is worth well 1000 points equals $1 and rewards start at 3000 points ($3). The amount of points you get depends on the type of activities you do, for e.g if you watch a video you will probably receive much less than for completing a survey. Completing surveys involves you giving your opinions on various different topics. You can get paid between 250 -1500 points for completing these. There does seem to be a range of surveys available to you all of which tell you the amount of points you will get before you get into it. You can also get paid to watch videos which is an easy enough way to make money on the site, however you will only be receiving few points per video you watch. There are numerous rewards that you can redeem, which start at $3. You can request gift cards such as Playstation, Google Play and Amazon. You can also use your points to redeem games such as Castle Clash and Minecraft however as you would expect they require a lot of points, especially for the latter that requires 25000 ($25). Their is also an option to receive cash through PayPal. Rewards are also processed fairly quickly within 72 hours of request. If you are still wondering Grabpoints is legit however it does seem to be a slow earner and from my experience making money with the app is time consuming. Its clear to see that this app is only for those of you who have some spare time to put towards earning a few gift cards. However if you are looking to earn more then lets say $50 a month you will probably need to look elsewhere. If your looking for similar opportunities that I would recommend higher than Grabpoints then check out these top rated sites here. If you sign up to a few of the sites I have had success with you you will be able to build up that monthly income, opposed to just using the single site. Grabpoints is free and not a scam so feel free to check them out here to see whether or not they are for you. What do you think to Grabpoints? Have any questions or opinions you would like to throw my way? 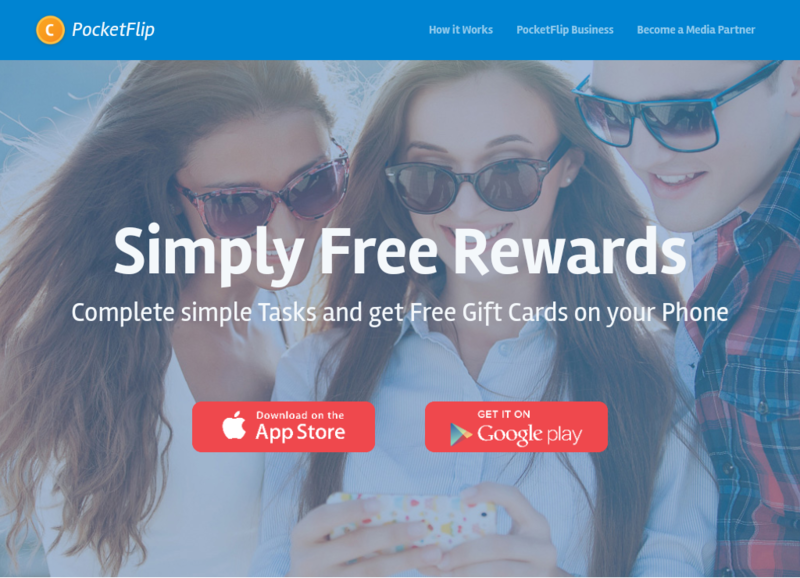 Pocket Flip App Review – Make Money Downloading Apps? Today I'll be taking a look at a money making app that is fairly new on the market called Pocket Flip App. 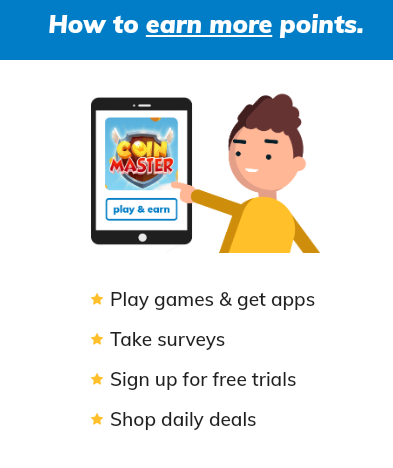 Everyone loves to get free stuff and with this app they claim to give out free rewards which sounds great. However is it a legitimate app that actually pays you or are they the opposite. In this Pocket Flip App review I'll be giving you the low down on this app and telling you all you need to know about them. If you are looking for a legitimate rewards site that pays well, than check out my recommendation. What Is Pocket Flip App? Pocket Flip is an app that pays you to complete offers and various activities on your mobile device. Infact I found them to be the same as apps like Appbounty, Feature Points and Cash For Apps as they share the same concept and opportunity's. I've found these apps to be good if you have the aim to make a few extra dollars a month however making any more than that is quite difficult as these apps do come with a limited earning potential. So basically if you are looking to quit your job and start earning an income from these kind of apps, it wont be possible. You can get started by downloading the app from the app store, the whole process takes a few minutes to do. The app can be installed on Android and Apple phones. To start earning is quite simple, once you go to the dashboard within the app you will find various offers with coins next to them. Each offer will have a certain amount of coins that you can earn once completed. Most apps will require you to just download it on your phone and then open up for an amount of time, however the requirements vary from offer to offer. You can make typically 100 - 200 points for downloading apps, however make sure to read the requirements as if you don't complete all the steps you wont receive any coins. The amount of offers you get access to also depends on what region your from, so if you are from the US you can expect to see more offers at your disposal in the dashboard. The other notable way to make money as opposed to just doing surveys and downloading apps is through referring other people to the app. This feature as a good earning potential and you can make 30% of what ever your referrals make, which means there is money to be made. This is also a good rate as I have found many competitors who pay less normally between 5% and 20%, but this one is very similar to another popular panel I like to use called PrizeRebel that also offer a high percentage of 30%. What Rewards Can You Redeem? There are a number of gift cards available to you, these consist of Amazon, ITunes, Playstation, Xbox Live, Google Play, Facebook, Nintendo eShop Card and Steam. Each retailer gift card can be redeemed at different amounts, the minimum threshold is generally either £5 or £10. These are also processed within 48 hours of redemption. Depending on where you live you may find that opportunities are more limited than if you were to live in other countries. One struggle I have found over the years is that most opportunity's are only open to USA or Canada panels and with this app I found a lack of tasks and offers that I could crack on with and earn coins. Normally with these apps you will find an option to receive direct cash for your efforts however there are only gift cards on offer here. While gift cards are great, I do normally tend to stick to payouts as PayPal as its easy and safe. There are similar apps you can try that do pay via cash such as Feature Points. If they do add more payments, I'll come back to this Pocket Flip review and update you. No Pocket Flip isn't a scam and does offer a relatively easy way to make money. Downloading apps and completing surveys is easy however the pay is quite low so it will take you some time to build up the coins to cash out your earnings. If you are looking to make money referring friends I would recommend them as that is a good way to make a passive income and the rates they have are also good. Check out Pocket Flip here if you are interested in finding out more and also sign up here as well. In my opinion there are other extra income sites that I invest my time in that pay out better, check out my top rated extra income sites here. Do you think Pocket Flip App is worth it? Had any experiences with them?